The Motorcycle Centre Ltd - We offer finance on most machines and part exchange is welcome. We accept most major credit cards. - Call us on 441342778071 or click here to find out more. Edinburgh Harley Davidson - Visit us for a test drive to allow you to experience our Harley-Davidson demonstrators. - Call us on 441312027955 or click here to find out more. M&P Direct Trading as Swansea Harley-Davidson® - Easy to find just 2 miles off Junction 47 of the M4 - Call us on 441792940627 or click here to find out more. For sale HD FXDL dyna. T reg 1999 model carb. 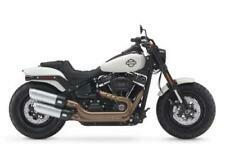 i am after sportster 1200. start rides and stop as is should also indicators need to look at. upgraded mikuni carb Vance Hines exhaust. The bike just had full service fresh oils filter. Has mot till August and I have 2 keys and alarm fobs. 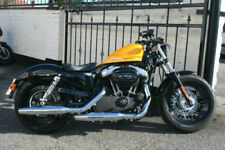 2009 HARLEY DAVIDSON FXDC DYNA 1584cc SUPERGLIDE 22358 MILES. SERVICE HISTORY. STAGE 1. VANCE AND HINES EXHAUSTS. APE HANGERS. JT's Motorcycles Ltd - Visit us for a test drive - Call us on 441792940383 or click here to find out more. STAGE ONE TUNED WITH SLASH CUT TURN OUT SILENCERS LONG MOT GENUINE HARLEY DAVIDSON HARD LUGGAGE. Harleyworld - Visit us for a test drive - Call us on 441246389547 or click here to find out more. Oxford Harley Davidson - Visit us for a test rides (Excludes Trade Centre Bikes) - Call us on 441865670566 or click here to find out more. 2016 16 HARLEY-DAVIDSON DYNA - NATIONWIDE DELIVERY, USED MOTORBIKE. 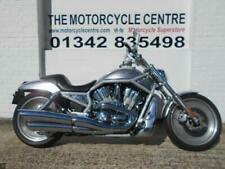 2012 12 HARLEY-DAVIDSON DYNA SWITCHBACK - NATIONWIDE DELIVERY, USED MOTORBIKE. 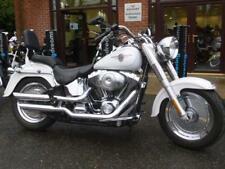 HARLEY DAVIDSON DYNA LOW RIDER FXDL 1450cc 2000 - JUST TWO OWNERS! 21,687 MILES!